The most important thing you can do to preserve your eyesight is to visit your eye doctor for regular checkups. Dr. Sheryl Simms places a high emphasis on spending time with you to understand your needs, diagnose visual conditions and explain all of your options. Please schedule an appointment online or by calling 480-802-7170. We look forward to serving you for all of your eyecare needs! Annual eye exams are vital to maintaining your vision and overall health. 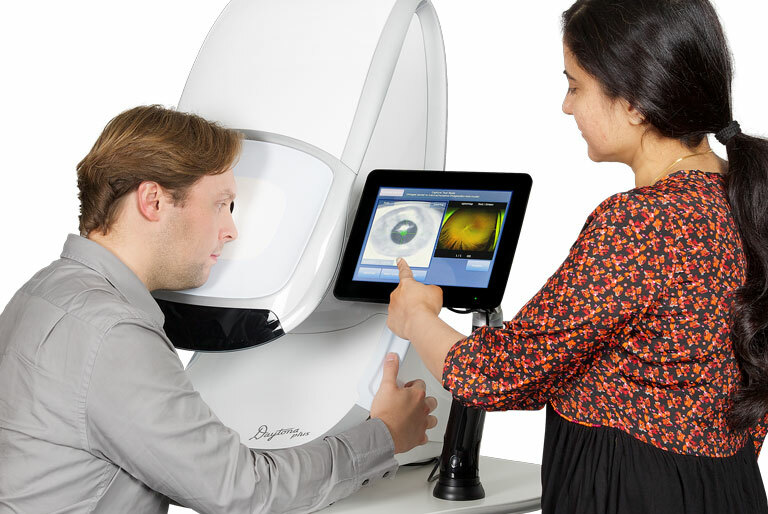 Urban Optique offers the optomap® Retinal Exam as an important part of our eye exams. The optomap® Retinal Exam produces an image that is as unique as you fingerprint and provides Dr. Sheryl Simms with a wide view to look at the health of your retina. The retina is the part of your eye that captures the image of what you are looking at, similar to film in a camera. A permanent record for your file, which allows Dr. Sheryl Simms to view your images each year to look for changes.